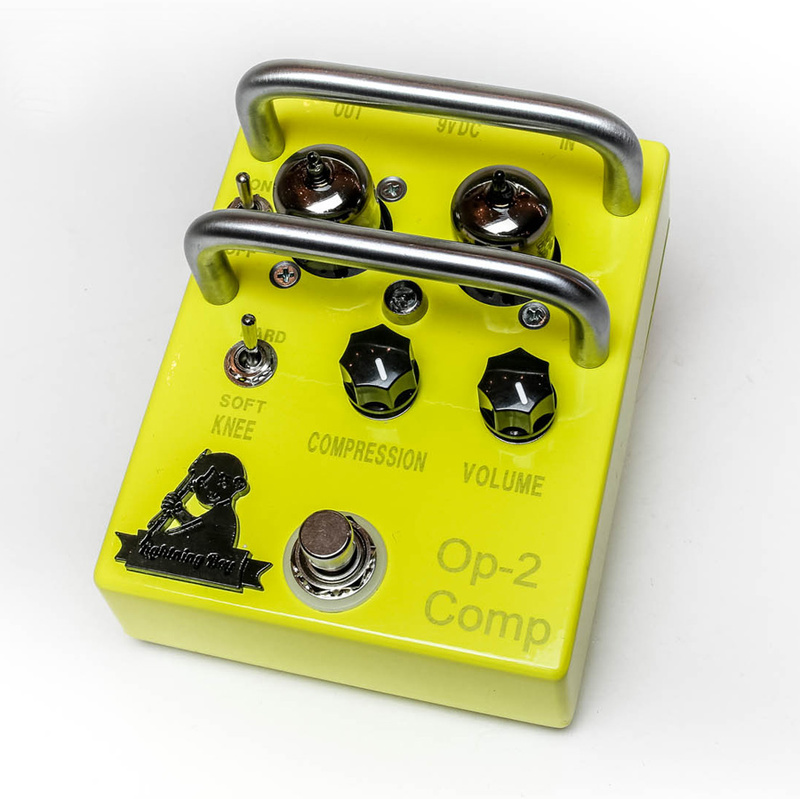 We just did a review of the Lightning Boy Op-2 Compressor, but just a few days ago, I received an email from Mike Congilosi II, letting me know that they made some last minute changes to the compressor before it’s official release. Curious, I wanted to learn more, so I checked out their site and they broke down the updates…. The pedal will sell for just under $380 instead of $400, but the first run will be sold for $360 each. Read on to learn more about that. The pedal now runs on 12v at 400mA instead of 9v at 1270mA. Less current draw is a big plus, but the added voltage was much needed to create more headroom. This change also created more volume, more compression, and a cleaner tone. The on/off power switch is no more. The unit powers on as soon as you turn on/plug in your power supply. The on/off switch is still on the pedal, but now it does something different. Its called “Turbo.” When the turbo switch is engaged, it gives you more “Tube tone” and more volume. Technically what it does is increase the THD slightly, it modifies the frequency response super slightly, and it boosts the volume. Basically it sounds thicker and warmer. EC Pedals Zombie Distortion Give Away and the winner is.. It can still be run on 9v if you prefer. The competition runs at 12v and the pedal sounds better at 12v. We sell a 12v supply, but Voodoo Lab makes several multi supplies that give 9 & 12v.